If you live in an urban area in the United States, you’ve probably seen a fair number of vacant lots dotting the streets. In 2001, nearly 15.4 percent of urban lands across the country were vacant, and the picture hasn’t improved much in more than a decade. A 2011 review of state and local laws regarding tax foreclosure, land banking, and code enforcement revealed that many municipalities rely on antiquated systems to manage vacant lands, making public control of those lands seem nearly impossible. The result? Cities all over the U.S. bear the financial burden as vacant lots sit unused and communities that live in areas with high concentrations of abandoned lands—disproportionately low-income communities and communities of color—are forced to deal with increased crime rates, depreciated property values, and potential public health concerns. For nearly a decade, Paula Segal walked by a vacant lot in her NYC neighborhood with a great deal of frustration. Occasionally, trucks would use the space to park and sometimes, for months at a time, the space would be untouched. Segal started talking to her neighbors about the lot’s history. She found out that it was a parcel taken as part of a huge public works project–the largest in the city’s history–a third water tunnel to bring drinking water from the Catskills to NYC residents. The city agency had apparently made many promises over the years to convert this lot to a community space once the necessary construction was finished, even engaging a landscape architect and a community-driven design process in the late 1990s, with no tangible results. By 2010, it seemed the agency had instead let the land languish. Segal began working with her neighbors to turn the lot on her street into the community space that had been promised to previous generations. Through a partnership with Brooklyn College, the neighbors were able to map all of the vacant lots in their neighborhood, as this was not the only city agency-owned lot left undeveloped. The area, on the Northern edge of Bedford-Stuyvesant, Brooklyn, was full of holes. The only parks for two-miles around were paved playgrounds. While officials blamed budget constraints for inaction, the legacy of so-called urban renewal and disinvestment in the area made many residents skeptical that the city ever intended to develop the land for community benefit in the first place. Over the last half-century, Bed-Stuy residents had both formally and informally taken matters into their own hands, starting community gardens and urban agriculture projects on scattered, otherwise empty parcels. The map they made of the Northern Bedford-Stuyvesant let Segal and her fellow community activists show decision-makers and elected officials—some of whom cited the need for more housing stock as a reason to stall development of the community space—that there was plenty of space in the neighborhood to meet everyone’s needs. Seeing the potential to create an effective advocacy tool, the project soon grew to encompass the whole borough, using data from the city’s property inventory. In May 2011, the same week she began studying for the bar exam, Segal printed posters that displayed the map of Brooklyn’s vacant lands and handed them out at block parties and other events in the area with her email tacked to the bottom. Soon, responses started rushing in. Residents wanted to know: Was it really true that there were 596 acres of land in Brooklyn that weren’t being used? As it turns out, the city’s data was both over-inclusive and under-inclusive. Segal noted that community gardens that had been in operation for over 30 years were often listed as vacant, while scores of other abandoned parcels were not. Realizing the need to ground truth the city’s data, Segal founded 596 Acres, an organization dedicated to accurately mapping the vacant lands in NYC and providing tools for communities to advocate for control of those lands. The name pays homage to the original amount of vacant land in Brooklyn that Segal calculated before she realized how complex the city’s data was. Using its mapping tool and on-the-ground community organizing, 596 Acres has helped NYC residents convert 16 lots to community-owned spaces—no small feat considering the bureaucratic twists and turns community members must navigate in order to gain control of vacant lands. 596 Acres’ interventions can be as small as posting signs on the fence of a vacant lot, which can support neighbors seeking permission from the NYC Parks Department GreenThumb program to use a lot as a temporary garden, or as involved as providing legal representation to a group negotiating a lease with a massive city authority. The power of the online tool lies in its ability to distill complex city data into information that people can actually use to organize and advocate for control of vacant parcels, and the map provides the 596 Acres team with the information they need to accurately label NYC’s lots. 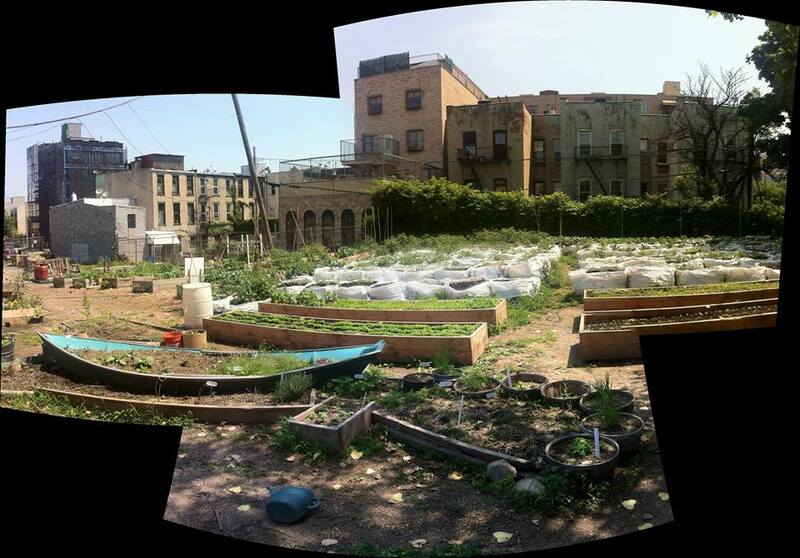 In August 2012, the vacant lot above the water tunnel at the Northern edge of Bedford-Stuyvesant that had set the ball rolling for Segal and 596 Acres became Myrtle Village Green, a community space that incorporates: A research farm; a communal medicinal herb garden; a movie screening space; beehives; chickens; a pumpkin patch for kids in the neighborhood; an outdoor classroom for local elementary school children who tend their own beds; a community-managed dog run; a compost system that diverts over 500 pounds of organic waste from landfill every month; and spaces where individuals and families can grow their own produce in raised beds. While Segal emphasizes that 596 Acres “does not prescribe what communities can and should do with their land,” much of the project’s strength comes from its ability to address residents’ frustration regarding unused land that could promote greater urban food access to areas in need. 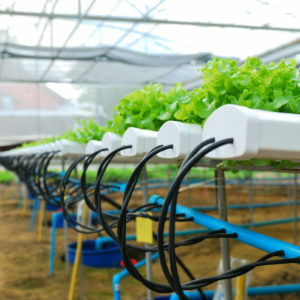 Furthermore, on a social level, Segal celebrates the potential for urban agriculture and gardening projects to promote collaboration among neighbors and to keep people coming back with new ideas. 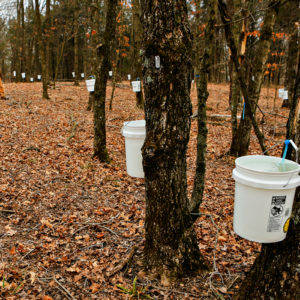 Outside of NYC, 596 Acres has expanded to build land access advocacy tools in other jurisdictions across the country. Segal notes that the way cities manage their land inventories is “hilariously different,” but they all tend to have complex, circuitous bureaucracy in common. Learning about other cities helps contextualize the issue of land access in NYC, and contributes to a burgeoning effort to make gaining access to public lands a more transparent process nationwide. In late 2012, 596 Acres teamed up with the Garden Justice Legal Initiative (GJLI) of the Public Interest Law Center of Philadelphia to create Grounded in Philly, a tool that maps the city’s vacant lands and active garden and farm projects, makes various pathways to land access more transparent, and provides users with a platform for organizing. 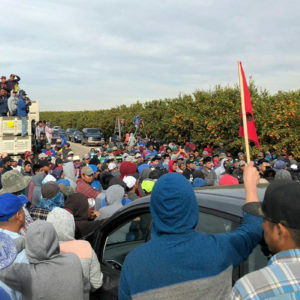 The organization also employs a community organizer to distribute on-the-ground information and resources to residents who may not have access to the Internet, but live near or manage abandoned lots. Since many communities have already created gardens and green spaces on vacant parcels, GJLI offers pro bono legal services to support residents in securing more permanent access to those lots. Amy Laura Cahn, director of GJLI, points out the challenges in this process, calling attention to the fact that extant green spaces often span multiple parcels, and could be owned by any combination of the four city agencies that control land access in Philadelphia, or any of the thousands of tax delinquent private owners. GJLI works to streamline communication between those agencies and with the public so that community members who have tended gardens and green spaces for generations can gain legal protection. Early Bird Farm in central south Philadelphia. Courtesy of Public Interest Law Center of Philadelphia/Swaroop Rao and Michael Paci. “If you’re a gardener who is on a parcel of land and who’s put down roots, you still don’t know from season to season whether someone is going to come along and threaten that community space,” Cahn says. While current policies provide the option for longer-term leases or sale to gardeners, Philadelphia generally only grants land access permits for one-year interim use, which means the city can easily seize property it deems ripe for commercial and housing development once the permits expire. While GJLI provides legal support to residents navigating city processes, Philadelphians also saw the need to be prepared for policy changes when the city council introduced legislation in 2012 that threatened nearly 20 percent of the city’s urban farms and gardens. Healthy Foods Green Spaces arose out of the efforts to defeat that bill, giving voice to a broad coalition of urban agriculture advocates and community gardeners. Now, the initiative is working to create a vision for the future of farming and gardening projects in urban Philadelphia by influencing decisions at the policy level. Like Segal, Cahn maintains that Grounded in Philly is really “a land project as much as a food project,” even though much of the conversation about the tool centers on urban farming and gardening. She emphasizes that “the roots of gardening in Philadelphia are in communities of color and immigrant and refugee communities who have all brought farming traditions” to the city, and in low-income communities where urban renewal and disinvestment has led to the most concentrated abandonment. The initiative’s primary focus is on supporting those communities’ self-determination and rightful access to land. Cover photo: Myrtle Village Green, by Stephan van Muehlen. Glad to see this on FB. Know it's happening in Portland, Oregon, and hope more people find out how to support. True sustainability effort. So, happy to see this taking "root". I don't live in the city any longer, but when I did, I always wished that people could do something with the empty lots. People would put out chairs to save their parking places and I always thought that some of those lots could have been made into little parking areas with a tree and some benches. How about a Community Renewal Energy Source, a Solar Panel Collection to distribute energy to the nearby homes or possibly Wind Turbines. So many possibilities.